Brandon was a post-doctorate fellow in Hope Lab. He received his B.S., M.S., and Ph.D. from Florida State University. As a graduate student, he studied the effect of early life exposure to stress or drugs on adult behavioral measures of mood. His postdoctoral work focuses on the role of neuronal ensembles in self-administration and extinction of cocaine seeking. He received a K99/R00 award to continue this line of research. Richard was a post-baccalaureate IRTA and Scientific Director Fellowship for Diversity in Research (SDFDR) fellow at Hope Lab. He worked with Dr. Vivian Colón-López at UPR, Medical Sciences Campus (MSC) conducting public health research on cancer and Human Papilloma Virus. He also worked with Dr. Tyra C. Bryant-Stephens at the University of Pennsylvania studying asthma. Furthermore, he worked with Dr. Karen G. Martínez-González at UPR, MSC conducting clinical and translational research on anxiety disorders. At NIDA, he works in the lab of Dr. Bruce Hope under the mentorship of Dr. F. Javier Rubio conducting basic research studying neuronal ensembles activated after cue-induced reinstatement of cocaine and heroin seeking. His goals include pursuing an MD and a career in Academia. Lauren was a post-baccalaureate in Hope Lab from 2016 to 2018. She worked with Dr. R. Madangopal examining neuronal ensembles in rodent models of addiction using techniques like in vivo calcium imaging in freely behaving rats, in vivo labeling of activated neurons using novel calcium-dependent integrator proteins, and whole-brain clearing to map immediate early gene activation during behavior. 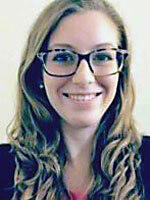 As of 2018, Lauren is a neuroscience graduate student at Weil Cornell Medical College. 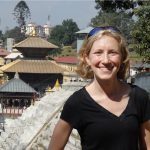 Leslie was a post-doctorate fellow in Hope Lab from 2012 to 2017. She studied electrophysiological alterations in Fos-expressing neuronal ensembles following reward-based associative learning using novel chemogenetic and transgenic tools. As of 2018, Leslie is the manager of the Ex vivo electrophysiology core (EVEC) at the National Institute on Drug Abuse (NIDA) Intramural Research Program (IRP), NIH. Cait was a post-baccalaureate fellow in Hope Lab in 2017, where she worked with Leslie Whitaker studying the electrophysiological alterations in Fos-expressing neuronal ensembles following reward-based associative learning using novel chemogenetic and transgenic tools. As of 2018, Cait is a post-baccalaureate fellow in the Ex vivo electrophysiology core (EVEC) at NIDA IRP, NIH. She is also in the Johns Hopkins Masters in Biotechnology Program. Vani was a summer student (in 2011 and 2012) and then a post-baccalaureate fellow (from 2016 to 2017) in Hope Lab. She worked with Dr. F.C. Cruz in a novel project identifying molecular alterations in synaptosomes and then with Dr. B.L. Warren studying neuronal ensembles within the ventromedial prefrontal cortex that mediate extinction of cocaine seeking. 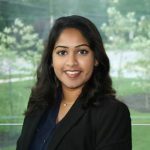 As of 2018, Vani is a medical student at the University of Central Florida College of Medicine. Rebecca was a graduate fellow in Hope Lab from 2012 to 2017. She worked on characterizing the Fos-expressing neurons of the nucleus accumbens encoding amphetamine sensitization in rats. 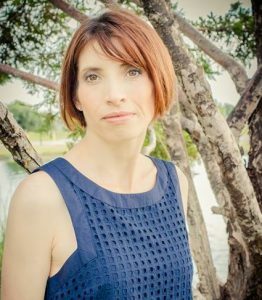 As of 2018, Becky is a sales and behavioral consultant at Noldus Information Technology. Tyler was a post-baccalaureate fellow in Hope Lab from 2015 to 2017. He worked with Leslie Whitaker studying the role of prefrontal cortex neuronal ensembles associated with food seeking behavior using rat models. As of 2018, Tyler is a medical student at Penn State College of Medicine. Veronica was a post-baccalaureate technical fellow in Hope Lab from 2014 to 2016. She focused on assessing microparticle internalization in neurons, primarily using cell culture to investigate the role of surface chemistry and surface charge on the uptake of microspheres into neuronal cells. 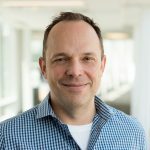 As of 2018, Veronica works in Circulomics, where they use techniques to extract high molecular weight, high quality and purity DNA from a variety of inputs including mammalian cells, bacteria, human blood, and plants. 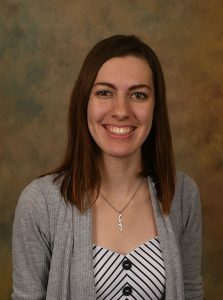 She will be starting her PhD with Dr. Carsten Prasse in Environmental Health and Engineering at Johns Hopkins University, focusing on investigating unknown contaminants in water, and assessing the effects of those contaminants on the protein level. Frank Soto Del Valle, B.S. Frank was a post-baccalaureate fellow in Hope Lab from 2014 to 2016. 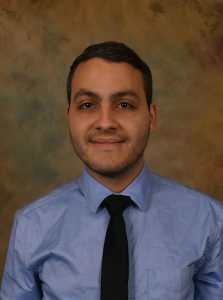 He worked with Dr. F.J. Rubio studying the effects of cocaine and heroin polydrug self-administration and extinction in rats. 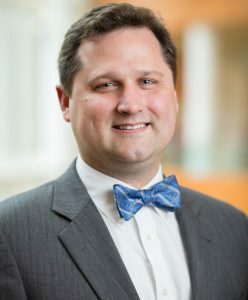 As of 2018, Frank is a medical student at Virginia Commonwealth University School of Medicine. Michael was a post-baccalaureate fellow in Hope Lab from 2014 to 2016. He worked with Dr. B.L. Warren studying and manipulating neuronal ensembles within the ventromedial prefrontal cortex associated with food and cocaine seeking. 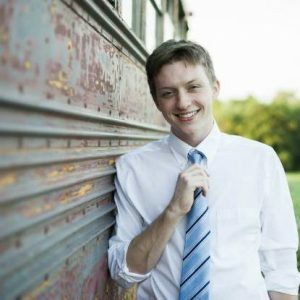 As of 2018, Michael is a medical student at the Medical College of Wisconsin and he also conducts research with Dr. S. Kurpad on diffusion tensor imaging biomarkers in cervical spondylotic myelopathy. Kylie was a post-baccalaureate fellow in Hope Lab from 2014 to 2015. She studied the molecular alterations that occur in context-specific methamphetamine reinstatement, functional alterations in context-specific cocaine sensitization, and self-administration and extinction of food seeking. As of 2018, Kylie is a neuroscience graduate student at the Vollum Institute at Oregon Health & Science University in Dr. S. Ingrams Lab using electrophysiology techniques to understand cellular and circuit changes that occur in response to inflammatory pain within the descending pain modulatory pathway. Rodrigo was a post-doctorate fellow in Hope Lab from 2014 to 2015. He studied the role of prefrontal cortex neuronal ensembles projections to nucleus accumbens in context-induced reinstatement of cocaine seeking. As of 2018, Rodrigo is a professor and principal investigator at Federal University of Bahia in Salvador/BA, Brazil. His lab studies the effect of cannabidiol and biperiden on the activity of the mesocorticolimbic pathway and its influence on ethanol self-administration, and the molecular alterations in selectively activated neurons in the reinstatement of ethanol self-administration. Fábio was a post-doctorate fellow in Hope Lab from 2011 to 2014. He worked on developing the Fos-Tet-Cre transgenic rat system as a new tool to examine causal roles of neuronal ensembles in learned behaviors. As of 2018, Fábio is an Adjunct Professor at Federal University of São Paulo, Brazil, where he also examines the role of neuronal ensembles in addiction behaviors. Sanya was a post-doctorate fellow in Hope Lab from 2009 to 2012, where she studied mechanisms of heroin addiction. As of 2018, Sanya works in Precision for Medicine in Maryland. 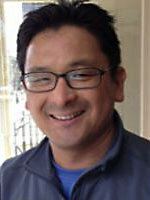 Eisuke was a post-doctorate fellow from 2005 to 2010 and a research fellow from 2010 to 2012 in Hope Lab. He worked developing the ‘Daun02 inactivation method’ to selectively knock out only strongly activated Fos-expressing neurons without manipulating the surrounding non-activated neurons to knock out specific learned associations and memories. He also studied the physiology and the dynamic changes in the synapses of these inactivated neurons. As of 2018, Eisuke is an associate professor at the School of Psychology at the University of Sussex, UK. His laboratory examines the neuronal ensemble mechanisms of how learned associations are formed between food rewards and the stimuli that predict their availability in the prefrontal cortex and nucleus accumbens, specifically studying the alterations at the intrinsic excitability and synaptic levels that they undergo to establish and maintain these learned associations. Sam was a post-baccalaureate fellow in Hope Lab from 2006 to 2009. 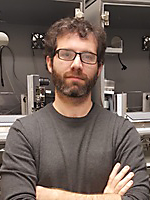 He helped Dr. E. Koya in the development of the ‘Daun02 inactivation method.’ As of 2018, Sam is a post-doctorate fellow at Yavin Shaham lab here at NIDA IRP, NIH. He is studying the neural circuitry controlling aggression motivation. 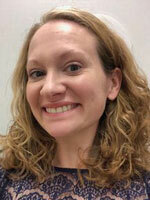 Brandi was a post-doctorate fellow in Hope Lab from 2002 to 2005. She identified activated signaling pathways and electrophysiological signatures in cocaine and amphetamine activated neuronal ensembles in the nucleus accumbens. As of 2018, Brandi works for Life Science Editors helping scientists get funded and published in any life science discipline. Justin was a post-baccalaureate fellow in Hope lab from 2001 to 2003. He studied neural-specific changes, and their behavioral correlates, in drug addiction. As of 2018, Justin works in Mayo Clinic in Rochester, MA, in patient blood management, platelet refractory management, and medical education. Jose was a post-doctorate fellow in Hope Lab from 1999 to 2001. He studied the dopamine transporter and the regulation of DAT by drugs of abuse (i.e. cocaine). As of 2018, Jose is a tenured Associate Professor at Washington University School of Medicine in St Louis. His lab studies the interaction between pain and opioid misuse and addiction.